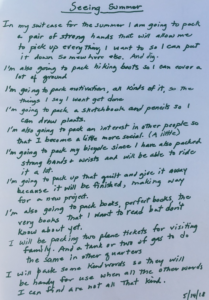 Imagine that you are packing a suitcase that will contain everything you need for a summer. What will you put in it? Clothes, a toothbrush, and sunscreen? Are there attitudes you will need? Ideas? Backup body parts? What will you put in the suitcase to help you through unexpected and difficult events? 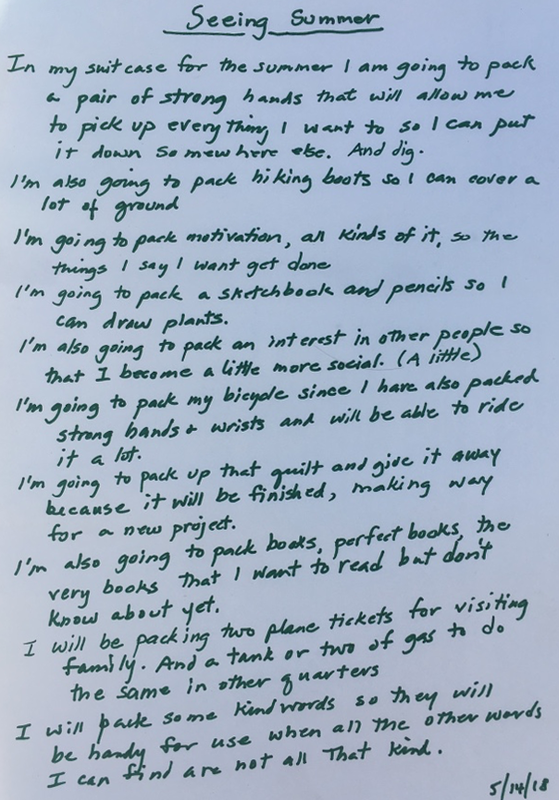 Begin: “In my suitcase for the summer I am going to pack…” Then write about something you’d put in the suitcase. Continue like that. When the page is finished, give it a title and write the date on it.